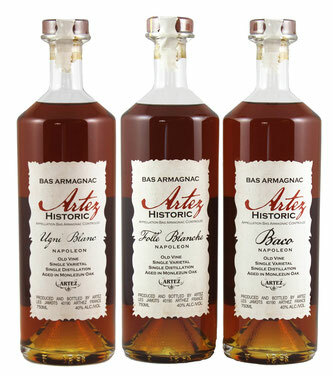 An intriguing Bas Armagnac Napoleon varietal set, just in time for the beginning of the holiday season. 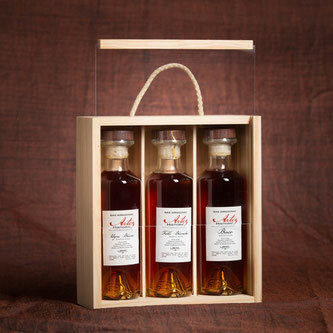 From artisanal producer, Artez, the set features 200 mL bottles of each of his three Armagnac varietals: Ugni Blanc, Folle Blanche, and Baco. Each Napoleon is single distilled at the estate and put into oak barrels for 6 years minimum. An ideal opportunity to discover the character which each unique grape varietal brings to the flavor profile of a traditional “varietal blend” Armagnac.